If you are looking for an affordable and fun giveaway for your next marketing campaign, Plastic Key Rings are the perfect choice. Plastic Key Rings are a low-price product that can be printed to match your requests. Key rings are an item that is popular among all ages and used by everyone from trades workers to CEO’s. Having your company’s logo printed on a custom design plastic key ring will remind your customers of your business every time they unlock their car or open their home. Not only does it give your customers a constant reminder of your business but it also means they always have your contact details on hand. Choosing a design that brings instant recognition for your business and then personalizing it with your logo or contact detail, you will ensure that anyone who uses your Plastic Key Ring will remember your company! Come to the TEKSOFTPRINT store, and our professional team will help you with your marketing campaign. We can design a new impressed logo to meet your needs. 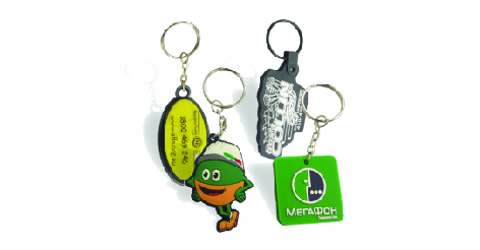 Printing in these cost effective key rings in a variety of shapes for high volume promotions is a excellent marketing tool.